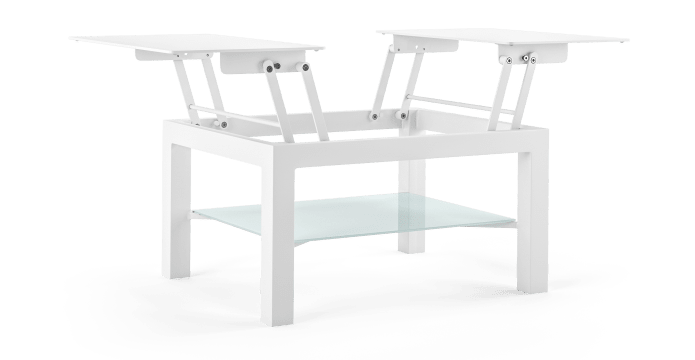 Lummus Outdoor Fold-Up Coffee Table is an all-in-one design. Considering style, quality and functionality at the same time. 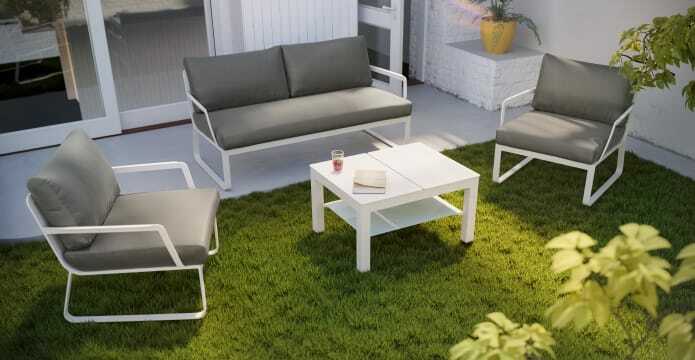 The design brings them all together for your modern exterior space. Coated with weather-proof materials. 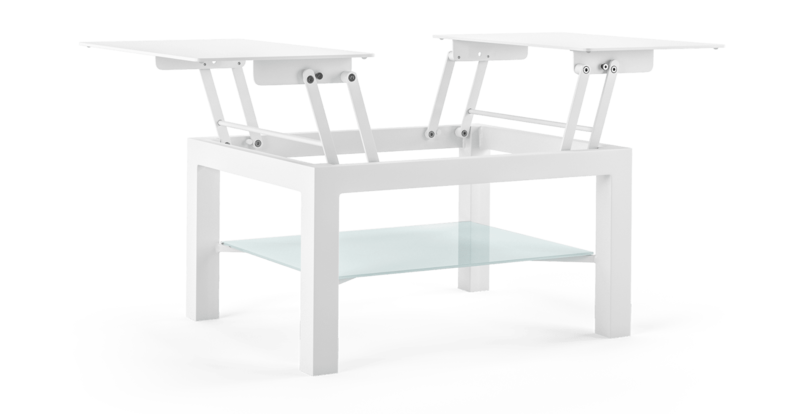 The Lummus Outdoor Fold-Up Coffee Table is guaranteed to last daily wear and tear outdoor. Structured with premium aluminium and a 6 mm shining glass shelf. The fold-up mechanics are so easy to use. We've designed it so you can use it every day with no hassle. 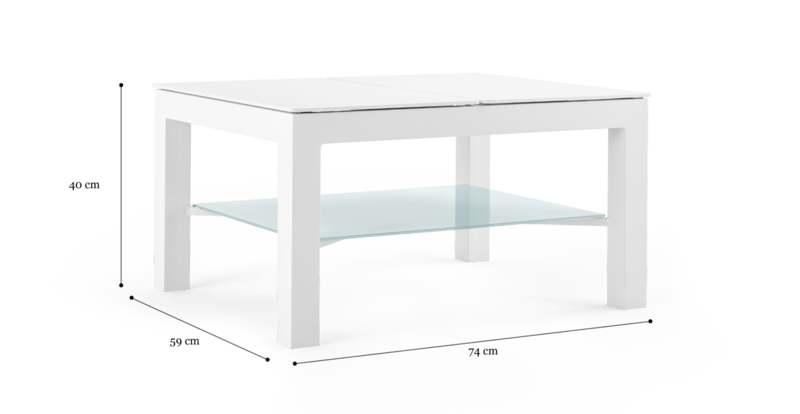 The table top smoothly glides out as a desk, at just the right height. Get a lounge set around this functional coffee table design. It will easily become the centre of your party. Match it with other outdoor designs to complete your exterior space.